The only time I was perhaps happy to see containers was not in some protest taking place in this country, but in Aaroh’s new music video as a wave of nostalgia rushed inside me taking me back in time to the 2000s – and Aaroh fans might share that same feeling with me. 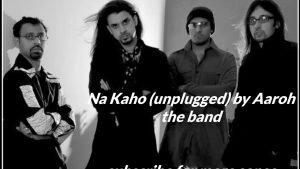 The band finally released the new music video for their single Main Nahi Manta (Dastoor) after a decade which is a rendition of Habib Jalib’sDastoor. The song was released on Sunday, 3rd December 2017 exclusively by the popular Pakistani music streaming site Patari. Aaroh originally gained recognition and won hearts by winning the first Pepsi Battle of The Bands in 2002 beating strong contenders and now iconic bands like Entity Paradigm (EP), Mekaal Hasan Band, Mizmaar among many more. The band then went on to release their debut album Sawaal which received positive reviews from audiences and critics alike and did well at the local music charts.This was followed by music videos that were well received, as well as releasing the music video for Na Kaho. Their song Na Kaho is their most popular track and has become a cult classic. Aaroh then went onto release another hit album Raag Neela in late 2006, followed by a few music videos such as Janay Kyun, Pyaar Ka Jaal and Raag Neela which did quite well in the Pakistani music scene. The band then split in 2009 with lead vocalist Farooq Ahmed and lead guitarist Haider Hashmi working on solo projects, while bassist Khalid Khan and drummer Jason Anthony performed with different bands as session musicians. Farooq Ahmed left Pakistan for the United States in 2010, one year after Aaroh split. 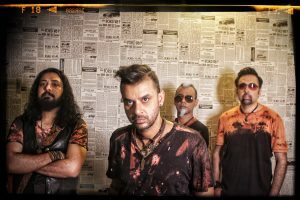 In 2013, lead guitarist Haider Hashmi, bassist Khalid Khan and drummer Jason Anthony released a new single Mera Pyara with a new vocalist Rizwan Anwar. The song although received positive reviews didn’t manage to grab a lot of competition. The lead guitarist Haider Hashmi passed away in 2014 due to brain tumor. 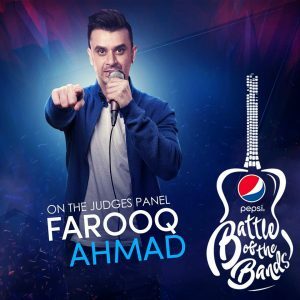 In 2017, Pepsi Battle of the Bands was revived and Farooq Ahmed accepted the role of th e guest judge in the show. Aaroh performed twice in the show, first in the second episode of the show performing their hit single Raag Neela and the second time in the grand finale of the episode in which they performed their classic Na Kaho. The song Main Nahi Manta (Dastoor) officially marks the band’s comeback in the Pakistani music industry. The music video of the single discusses the problems that still prevail in the Pakistani society such as corruption and terrorism. The video, although simple, has been perfectly executed and suits the single for which it has been made. Dastoor is originally the work of revolutionary poet Habib Jalib which the band has performed a rendition of. Main Nahi Manta (Dastoor) of Aaroh has proven to be quite popular and is already being discussed on many social media platforms such as Facebook, Twitter, Instagram and YouTube. The single leaves the audience asking Aaroh for more. Let’s hope this is not a onetime thing and Aaroh continues to come up with more music, as Main Nahi Manta (Dastoor) is only the beginning.